So you wanted to know about the facebook thing. Invite everyone in my facebook account for the homecoming talk if you could. Put on there the time and address of the church. As for the party at the house, I don't remember everyone who is on there. Make your best judgement call with familiar names maybe I can go through it when I get home and add some people. I did get the topic and day of my talk. The only thing is that I don't know when I will be reporting to the Stake President and High Council. 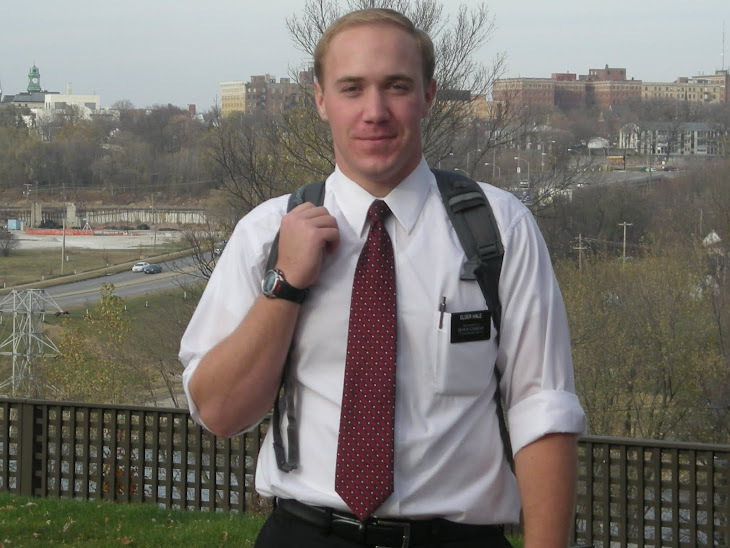 I have heard of some elders that already know the appointment to meet with him. The church sends him my arrival information, but maybe if you could double check and confirm? The week has been wonderful. 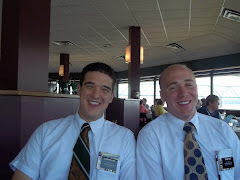 Tuesday was the departing missionary temple trip. We left real early to get to the Nauvoo temple on time. Before we went, Elder Harrison took us to the old Nauvoo cemetery. This was the same cemetery we went to when the Illinois Peoria Mission was closing and we all went to the temple one last time as a mission. There are hundreds of graves of the saints that lived there at that time, most of them are children's graves. We has some time to walk around and ponder. I had a whole flood of memories from the IPM come back to me. We were on hallowed ground. We headed over to the temple and got in at the 12 o'clock session. It was a powerful session for me, but after the session the Temple President took all of us to the bell tower. At first we went up to the clocks, and were able to look out the windows and talk about the temple but then he took all of us the the highest spot of the temple. If you look at a picture of the Nauvoo temple, just under angel Moroni there is a silver looking dome roof. 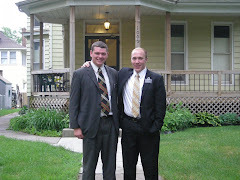 We stood right under that roof, just feet away from Moroni. It was so cool. T was supposed to be baptized on Thursday, but she went into the hospital for surgery. She had to get her gallbladder removed along with multiple stones that were in it, one of which was the size of a golf ball!. She had a bad infection as well. But she is recovering at home and she let us give her a blessing! That is a huge step for her. She has never let us give her a blessing before and was always scared at the idea. Her baptismal interview is going to be done today right after this email, and hopefully when I e-mail next, she will be baptized.